SoftFloor Premium are Commercial grade and made of a very durable yet comfortable interlocking closed cell rubber EVA Foam tile. Light weight and easy to move if needed, fire retardant and liquid proof. Great for fatigue relief or stress relief. Also great for day cares, schools or anyplace kids or children play. 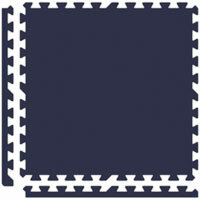 Two border pieces are included with each tile. 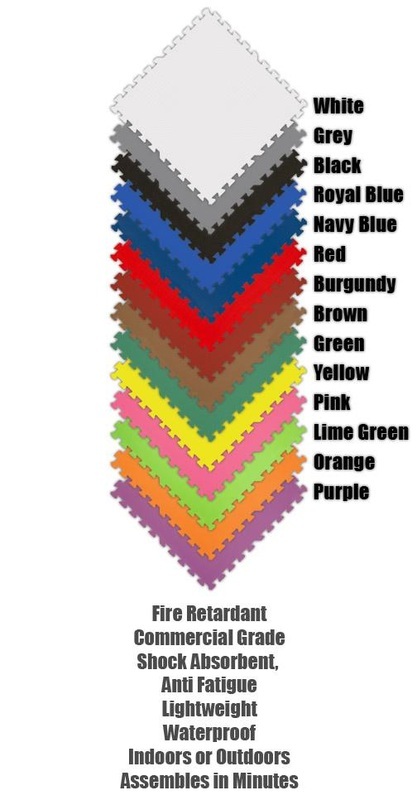 Combine any of the colors to make specific areas, borders or more. 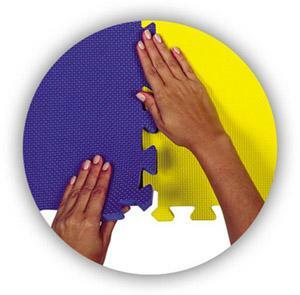 Assembles in minutes, cover an entire room or use as an individual mat. Great for: Trade Shows, Kid rooms, Yoga/aerobics, fatigue relief, residential to industrial, and so much more! Also Available in a thinner Economy Reversible SoftTile (call for details). If you need exact measurements/sizes – know that the 2’x2′ measurement is including the puzzle connectors. Approximately How many tiles do you need?